Toby Wallace finds himself in the novel position of starring in two short fiction films that are vying for an AACTA award this year: Nursery Rhymes and Tangles and Knots. 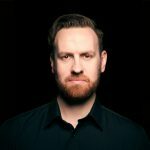 Director Tom Noakes’ Nursery Rhymes will compete with Renee Marie Petropoulos’ Tangles and Knots, Charles Williams’ All These Creatures and Alison James’ Judas Collar. In the short animation category the nominees are Radheya Jegatheva’s Irony, Andrew Goldsmith’s Lost and Found, Seamus Spilsbury and Darcy Prendergast’s Monster’s Playground and Haein Kim and Paul Rhodes’ Peepin‘. As part of today’s announcement AACTA revealed there will be separate member screenings for features in competition, shorts nominees and documentary nominees in place of the former Festival of Australian Film. Explaining the change, AFI | AACTA CEO Damian Trewhella told IF the new stand-alone format will give more value and prominence to each type of filmmaking, whereas features tended to be more prominent in the past. Trewhella is heartened by the spike in nominees for short fiction: 106, up 20 per cent on last year’s 89, and 16 for short animation, versus just nine last year. “Shorts are becoming a more exciting space,” he said. Unlike last year when the nominees were chosen by a jury of eight, this time there was a wider branch voting model with 34 members participating. Shorts Fest will take place in Sydney, Melbourne, Brisbane and Perth from August 20, launching with AACTA’s Oscars® Short Film Program which will screen all 2018 Oscar®-nominated animated and live action shorts. The inaugural national pitching competition AACTA Pitch will take place as part of the Shorts Fest Program on August 22 at Event Cinemas Bondi Junction as the shortlisted finalists pitch their series in front of a live audience, including a judging panel. The AACTA Film Fest will screen the features films in competition throughout September in Sydney, Melbourne and Brisbane. The Docs Fest program will screen the feature nominees in Sydney, Melbourne, Brisbane and Perth in October. In Nursery Rhymes Wallace plays a tattooed Metalhead musician who stumbles on an horrific car accident on a lonely highway. Sara West played his partner. On the line from Los Angeles where he is auditioning for roles, he tells IF the main challenge was reciting a nursery rhyme over and over while standing shirtless in freezing weather. Tangles and Knots stars Leeanna Walsmann and Odessa Young as a mother and teenage daughter whose close relationship is threatened when the older woman helps her daughter throw a house party to impress new friends. Wallace has a supporting role as one of the party goers as events take a sinister, unsettling turn. After starring in Romper Stomper he played journalist Erik Jensen in first-time director Thomas M. Wright’s Acute Misfortune. Daniel Henshall played Adam Cullen, the acclaimed painter with whom Jensen spent the best part of four years writing his biography. Wallace describes his character as as eccentric, charming, lonely and complex guy. 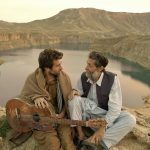 He appears with Julian Maroun, Johnny Brady and Jamie Meyer-Williams in writer-director Joseph Chebatte’s Entrenched, a short about four Australian soldiers in Afghanistan who capture a young boy spying on their reconnaissance position. The Palme d’Or-winning All These Creatures follows an adolescent boy as he attempts to untangle his memories of a mysterious infestation, the unraveling of his father and the little creatures inside us all. Judas Collar explores the importance of connection and the tragedy of self-sacrifice in outback Australia as a wild camel is captured and fitted with a tracking device known as a Judas Collar. The short animation category marks the first time all nine competing directors and producers are first-time nominees. Based on the poem Seven Billion and exploring the relationship between man and technology from the perspective of a phone, Irony has already won 66 awards and been selected for 156 festivals worldwide. The tale of a bumbling knitted dinosaur who must completely unravel itself to save the love of its life, Lost and Found won the Sydney Film Festival’s 2018 Yoram Gross Animation Award. Narrated by Claudia Karvan, clay animation Monster’s Playground follows fun–loving siblings Bro-Bro and Siswa and their pet monster as they set off on an adventure. University of Technology Sydney students Haein Kim and Paul Rhodes’ Peepin’ centres on Dorian, who discovers a hole in the wall that reveals a public hook-up spot and runs to show the school’s popular girls Kimmy K and Jae Lee her new discovery. The 8th annual awards will be presented at an industry lunch on December 3 and at the AACTA Awards on December 5, telecast on the Seven Network, with repeat screenings on Foxtel.